Hand Selected. Years Of Training. High standards. 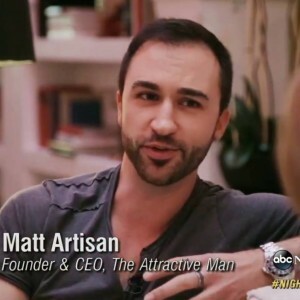 Matt Artisan is considered on of the top experts in dating and attraction. He was voted WORLD’s BEST NEW DATING COACH and since 2010 he has personally coached men in the U.S., Australia, Germany, Czech Republic, Denmark, Japan, China, Hong Kong, India, Dubai, Cancun and the list goes on. He is currently the President of The Attractive Man Inc., which is the legendary dating program for men, based on his ground-breaking understanding of women and psychology. As one of the preeminent gurus in the dating community, Matt’s specialties range from advanced dating techniques and day game mastery; to deep inner confidence and speed seduction. Matt Artisan takes a very unique approach to help guys develop supreme confidence and sexual mastery. Having taught thousands of students all across the world, Matt has been featured as a key speaker at numerous conferences, seminars and boot camps. 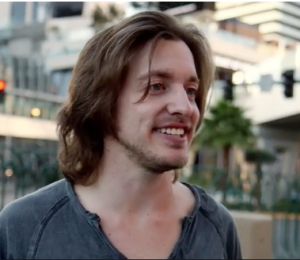 Matt Artisan has been featured on Fox 13, MTV and ABC News Nightline. He is extremely passionate about teaching men how to have amazing success with women and will make sure you get the success that you want. He won’t stop until your dating life is completely transformed. “Crazy!” “Insane!” “Like a bomb being dropped!” are only a few things Josiah Prise has been called by students and fellow coaches alike. He has emerged from the Las Vegas dating scene under the wings of Matt Artisan and other world renown masters. After joining the 2-Year Training Program and spending 4-months in Asia with Matt Artisan, it was apparent through his tenacity that he would master the game. He takes students by the hand and crushes their approach anxiety using NLP and approaching games. Students tend to latch on to his every word after a few demos. Never content with his own results or the results of his students, Josiah is constantly growing and learning aside Matt Artisan. Together further refining not only their own developed, but also bringing what they’ve learned abroad to the students home countries. After a divorce, Andres wanted to get this part of his life handled. Thus his personal development path expanded into Dating and he’s been in this path for over 5 years. Andres is a Master Practitioner of NLP and a certified Hypnotist with numerous personal development awards. He is originally from Colombia, but grew up in Houston, TX. Andres has years of experience meeting, attracting and seducing the hottest and highest quality of women due to the fact that, in addition to traveling the world, he has attended over 15 bootcamps and one-on-one trainings from masters like Matt Artisan, Adam Lyons, and many others to master his game, his self and his life, overall. Andres has taught side by side with Matt Artisan using his unique knowledge of NLP, Hypnosis and years of trainings in personal development to delve deep into the psyche of men who are looking for that edge in improving their skills. He is adept at finding the right triggers that will motivate as well as implant the proper skills in the men that seek to better themselves and their game. He’s currently in a long term relationship with a solid 9.9999 whom he met using these Day Game Training techniques just 4 months after his first one-on-one training with Artisan. 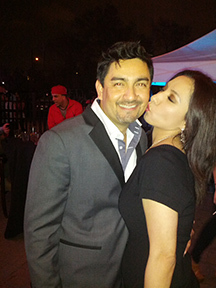 Andres is extremely passionate about his coaching and ensuring his students get the results with women they want.